We recently wrote about Quell, a new device that can relieve chronic pain in people with diabetic neuropathy, but that’s not the only diabetes-related tool being featured at the 2015 International Consumer Electronics Show (CES). Other products on display include KiCoPen and the Dexcom G4 Platinum CGM. 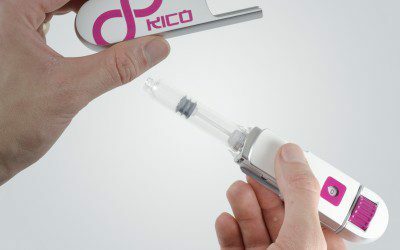 Developed by technology firm Cambridge Consultants, the KiCoPen is a prototype “smart” injection pen that captures the time and exact amount of insulin given per injection, sending the information to an associated smartphone app. This allows users to keep track of their injections, reducing the chances of forgetting a dose or taking a duplicate dose. The device does not require a battery, instead using the energy created by removing and replacing the cap to power the electronics. The Dexcom G4 Platinum CGM is a continuous glucose monitor (comprised of a sensor, transmitter, and monitor) that allows users to view glucose patterns in real time and provides alerts warning of hypoglycemia, or low blood glucose. Software 505, new software for the monitor, was recently released and is available for free download on the Dexcom website. The device, which was recognized by website Tech Times as a “2015 CES Best of Innovation Honoree,” can be enhanced via an add-on known as Dexcom Share, recently approved by the U.S. Food and Drug Administration. This accessory, a small cradle into which the Dexcom G4 Platinum is docked, allows up to five caregivers to keep track of their loved one’s glucose levels and receive alert notifications using an iPhone or iPod touch. “The ability to share continuous glucose data remotely, to almost any location, is a remarkable advance,” notes Lori Laffel, MD, MPH, Chief of the Pediatric, Adolescent and Young Adult Section at Joslin Diabetes Center. The Dexcom G4 Platinum CGM and Dexcom Share accessory are both available in the United States. To learn more about the KiCoPen, visit the Cambridge Consultants website. And for more information about the Dexcom G4 Platinum CGM, see the Dexcom website.